This 500w stainless steel blender is the perfect addition to the modern kitchen. It features a strong 500w motor for the toughest blending jobs. The see through glass blender jug contains handy measurements along the side. 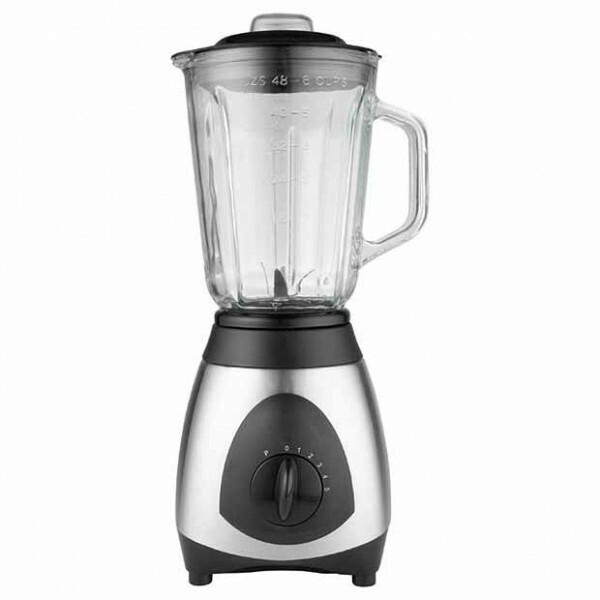 TThe blender features 5 speed settings, plus pulse, and stainless steel blades for excellent blending power. Stainless steel blades, strong enough to crush ice. 1.5L glass jug with easy to read measurements on the side. 5 speed blending settings plus pulse.